Have you ever heard the common saying ‘a picture is worth a thousand words’? Well, this is totally true when it comes to finding hidden problems with thermography. 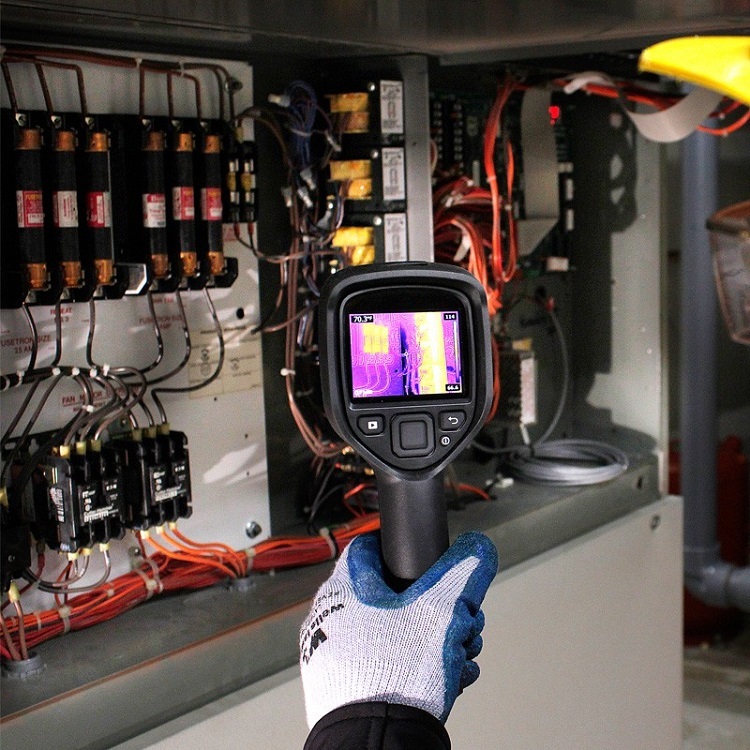 All facilities are subject to moisture intrusion, thermal loss and equipment failure, and the right tool to track these problems is an infrared thermography camera. As the British astronomer Frederick William Herschel has discovered, there are some types of light that aren’t visible to the human eye, such as infrared radiation. An infrared thermography camera is the only technology available that is able to detect and measure infrared radiation. Using infrared wavelengths, infrared thermography cameras measure the infrared radiation of an object and convert the obtained data into a visual image that colorizes heat, making it easy and quick to identify thermal variance. This explains why these cameras have become an essential part of everyday troubleshooting and diagnostic for a wide range of industries including plumbing, electrical, restoration, pest and building to name a few. A popular infrared thermography camera model, used in the industry for diagnosing problems, performing preventive maintenance and maximizing energy-efficiency of a place is the FLIR E5 camera. It is one of the best, yet inexpensive infrared thermography camera available. FLIR is a pioneer brand recognized for its industry-standard devices. The E5 is one of the cheapest thermal leak detector cameras offered by the brand, but its price doesn’t compromise in any way its quality and efficiency. The visual you will see with this camera is the authentic heat signature being picked and not merely a digital representation of a thermometer’s readout. It is very solid and easy to hold in one’s hand. It is designed to withstand dust and water and can take a drop of 2 meters. It features a user-friendly interface with large buttons that are easy to use even with gloves on. The nearly 3 inch LCD display is nice and clear and large enough to get the job done. The temperature sensitivity is what really makes the FLIR E5 stand out among its counterparts. The unit is very accurate, which makes it a lot easier to pinpoint hot and cold spots with precision. It focuses automatically and is really as simple as point and shoot. The rechargeable battery that comes with the unit can run for four hours and up to 5000 images can be taken using the included micro SD card. These features make the process of explaining leaks to clients easier, as well as sending them invoices. Overall, the FLIR E% is a reliable, solid and user-friendly infrared thermography camera that is well worth your time to check out. It comes with a warranty that is great too!